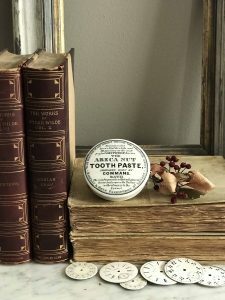 Measures approximately 3″ diameter x 1.75″ tall. 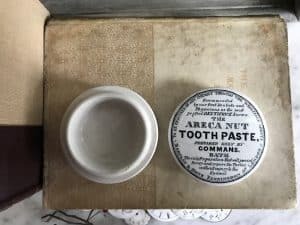 Tooth Pastes were by far the most popular commodity sold in pots with printed lids. It is thought that there are 998 different printed lids, now all are very scarce with many rare. This lid has the advertisement of Commans around the center edge and the advertisement of Barclay’s, the wholesalers, around the outer edge. 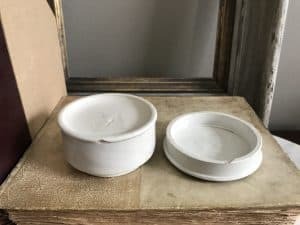 The pot base and lid each have a tiny fleabite which are not visible when on display. Please consider the images as the best part of my description.